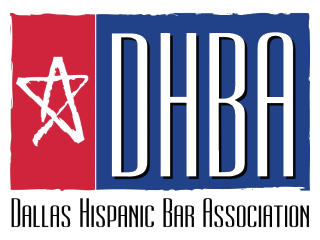 Please join the Dallas Hispanic Bar Association and Catholic Charities for a free CLE that will train pro bono attorneys on how to represent detained immigrants in bond hearings in the Dallas Immigration Court. Detained immigrants in Texas include individuals arrested in ICE raids, recent entrants seeking asylum, and many others, who are separated from their families and held in detention centers pending deportation proceedings. Many of these immigrants are eligible to be released on a cash bond - which is like a bail - so that they can better defend themselves from deportation. Released immigrants are eight times more likely to win their cases than those who are detained during proceedings. Without the ability to obtain a bond, immigrants who may be eligible for relief from deportation are trapped in immigration detention centers, often for months, and sometimes even years, while they try to defend themselves. This drives families into poverty and creates enormous emotional burdens for parents and children. Immigrants have lost housing, jobs, and custody of children because of their inability to obtain or pay a bond. There is a pressing need for attorneys to provide pro bono representation for immigrants detained at the detention centers in North Texas in their bond proceedings. This is limited representation for the purposes of obtaining bond only, and attorneys do not need to be immigration specialists to provide vital support to immigrants in need. Please join us to learn how you can help.